A new name has emerged as a strong candidate to be the next head coach of the Saskatchewan Roughriders. It's not a shock that the 50-year old Toronto product would be in contention for the position vacated by Chris Jones. Benevides parted ways with the Edmonton Eskimos following the 2018 CFL season and is pursuing his next coaching opportunity. However he's enough of an under-the-radar candidate that he didn't make the initial list of candidates in our Monday morning Out Of The Tunnel column. Tickets On Sale Now! Click For Details! Sources tell me Benevides and the Roughriders have talked, and that it could be a good fit. Benevides spent the past three seasons as defensive coordinator and assistant head coach in Edmonton, and he could very easily slip into the roles of DC/HC in Saskatchewan. That would provide minimal disruption in the other two phases of the Riders coaching staff: offense and special teams. What may be attractive to new Roughriders General Manager Jeremy O'Day is Benevides' prior experience as a head coach with the BC Lions. 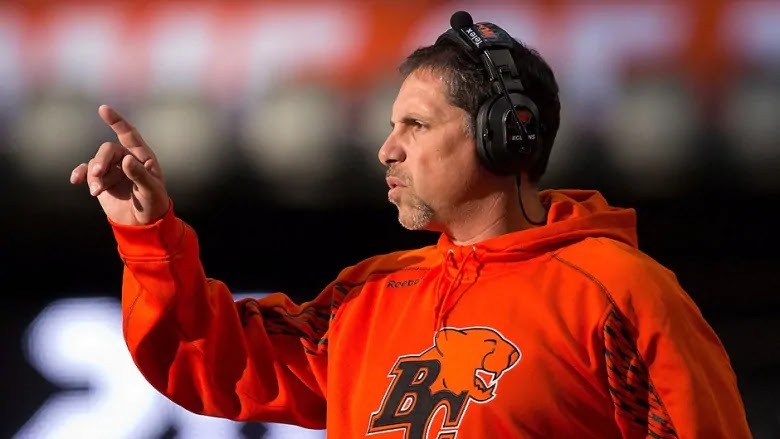 Benevides was a tidy 33-21 on the sidelines with BC (2012-2014), however his win total descended each year (13-11-9) before being replaced by Wally Buono. Meh, every great head coach has been fired at one time or another. Even New England's Bill Belichik was toasted in 1996 by Cleveland, or Toronto's Corey Chamblin in 2015 by Saskatchewan. You hope coaches learn from each experience along the way. Meanwhile there's a rumour the Roughriders' top choice for the job is Marc Trestman, however I don't know how credible that rumour is. Like the Benevides situation, this should come as no surprise. Trestman is available after being fired by Toronto in November, and he's a highly decorated CFL coach with 3 Grey Cup rings. He's spent a generation in the NFL as an offensive coordinator. Trestman also comes with a high salary, and that's where the Roughriders would likely be handcuffed again by the CFL's new football operations salary cap and staff limitation. If we were to do a calcutta on this hiring, I'd list Craig Dickenson as a 2-1 favourite to replace Chris Jones followed closely by Benevides at 3-1. As for Marc Trestman? Make it 7-1. These Jerry Glanville reports have me completely baffled, but I'd list him at 500-1. Maybe even 1000-1. That notion seems completely preposterous. Keep in mind too, that should the Riders hire someone else besides Benevides as head coach they are still in need of a defensive coordinator and that could very well be where Benevides fits into the picture. He also would likely have an opportunity to return to TSN as an analyst, where's done a very nice job in the past. TSN's Dave Naylor reported Wednesday afternoon that the Riders have already interviewed current offensive and special coordinators Stephen McAdoo and Craig Dickenson for the position. On Scruffy's blog I listed it's a two horse race and it's due to that salary cap combined with one guy needing to do two jobs and add in a guy that will work cheap. Mike Benevedes is the front runner followed by Jerry Glanville. Marc Trestman would not come here. He is on his third job in 5 years and there is no QB here which is the same situation he just came from. Benevedes comes here then maybe there is a slight chance they reenter the Mike Rielly sweepstakes. I still say Marc Trestman is the best guy. Answer to the DC question is to move Jason Shivers up to DC. He had experience calling plays at times last season and already knows the playbook. Should be relatively seamless. Let's take the coach that ran the West's worst defense, promote him, and pair him with the West's worst offense. I agree with the fact that the DC position is as important as the HC position in this case. The defence is probably the strongest phase of this team, followed very closely by the Special Teams. A strong DC will go a long way to ensuring that the big name defensive FA’s want to re-sign. That and the CBA. If he becomes our head coach God help us, worst defensive coordinator in the league, thats why Edmonton got rid of him. At this point I guess everyone is on the table. Benevides does have HC experience. But that was under the ulmighty Wally who pulled his strings. If the Riders had a a decent OC. Then an experienced Head coach like Benevides could work. As long as he would just be the HC & let a yung Shivers handle the D w/o mettalling. Dickenson at ST Coordinater is the best. But McAdoo is a real weak link as OC. Thats what is really hindering this process. Benevides was the coach in Edmonton who didn't blitz. Rider fans moaned and groaned for 3 years (almost) that we never blitzed! so why would we want to bring in a man who doesn't do it AT ALL??? ridiculous thing to hire this guy. Jerry Glanville for Riders head coach. He brings a wealth of football experience and connections which could only help a rookie Gm. I like Trestman but ... his Mom recently passed away from Cancer and his wife is fighting a battle with Cancer. Right now may not be the best time for him to give 100% to this team. Truthfully, I wouldn’t expect too much this year considering the situation, there still is no solid q.b. In place, unles they let bridge go for it. And back him up with whoever ? One year of Gerry Glanville and wait for LaPolice might be the best route. I would prefer that over Benevides! I agree with the above post he might help JO with recruiting with all his connections down south. I think that is something we will miss with Jones gone. What about Richie Hall?? It's doubtful that they would get permission from the Bombers, but he fits both categories as previous head coach & a D-coordinator for many years and has ample ties to the Riders! He has had a damn good D in Winnipeg when given the opportunity to run his own show! I agree with Richie hall too! HIRE DANNY BARRETT YOU BOZOS RUNNING THE RIDERVILLE SHIP. DANNY BARRETT WOULD BE A GREAT HIRE AS SASKATCHEWAN ROUGHRIDERS HEAD COACH. Why do we need a "recycled" Head coach? Experience? In other word same old ideas new location. Try for some up and coming assistant coach that will inspire the team and the fans. I think we go with McAdoo as HC. Stephen McAdoo Assitant Head Coach has earned his keep and deserves the chance to move up as Jeremy ODay did as Assistant GM. Head Coach Stephen McAdoo, Saskatchewan Roughriders Football Club. Done! End of subject everyone! Goodnight! Wow some real goofy comments here. Must be silly season. The riders did not blitz all that much last year. Did you goofballs watch the games. I recall many know it alls whining about the 3 man rush not working. You blitz depending on what plays the offense runs. The rider d ends were two of the best so others could drop back and cover. Result was arguably the best d in the league. All I've seen are folks saying take; the low risk, no risk, comfortable, stop gap, temporary, popular, etc etc..blah blah. This team has no QB and who knows how that changes. If they were to land a young Jennings, who would you want mentoring a young QB? Who of that bunch has a proven track record there? How many HC's have won a Grey Cup as a HC? Virtually every name mentioned with exception of Clements and Sarkasian have all been recycled. Campbell, Dickinson and Chamblin may be the only coaches who have coached a team to a Grey Cup. All the rest are still hoping. They need someone who has seen it all and done it all. The best barometer of future performance is past performance. I don't think many if any really know what O'Day has on his mind. His credibility and reputation is on the line as well as anyone else's. If he's as capable and studious as many think I doubt he falls for any superfluous pushing of any candidate. He has a team with lot of real good pieces and fans will want to build on what's been done here already. A step back to 9 OR 10 wins will be deemed regression and even failure. The new HC will have to be an experienced capable person who is capable of building upon what's been done. Of the names floated out there only one or two even come close to meeeting those requirements. Still grinds the gears that the CFL put in the coaching cap just to spite the Riders. Player cap? I get it. But the successful teams that market well should be allowed to enjoy the fruits of theur labor. Rider fans support the team and deserve the benefit. Coaching cap was punitive. 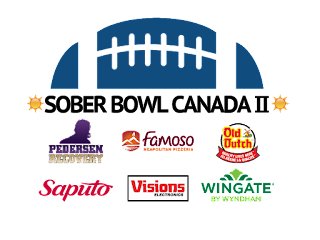 If the other teams want to have more revenue, quit whining and start selling.